No two brides are exactly the same – yet sometimes, wedding day fashion selections can feel like a whole army of poofy white ball gowns with few other options. 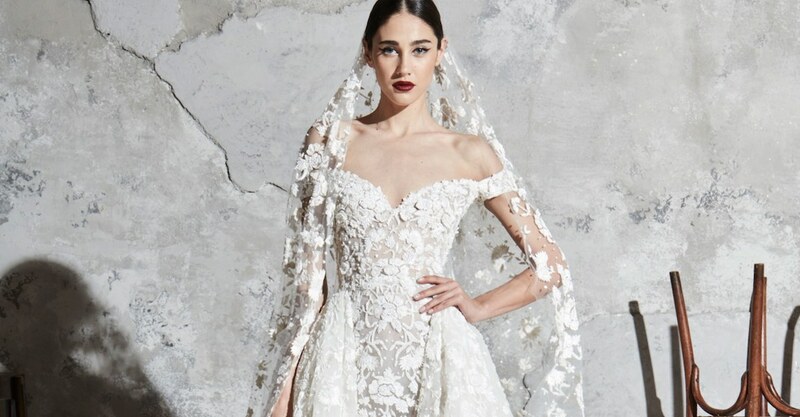 The Laure de Sagazan Bridal Fall 2019 bridal line made its debut at this October season of Bridal Fashion Week, and it is here to shake up your wedding ceremony fashion expectations. The Laure de Sagazan brand is historically known for its alternative wedding looks, creative ensembles, and customizable bridal options. 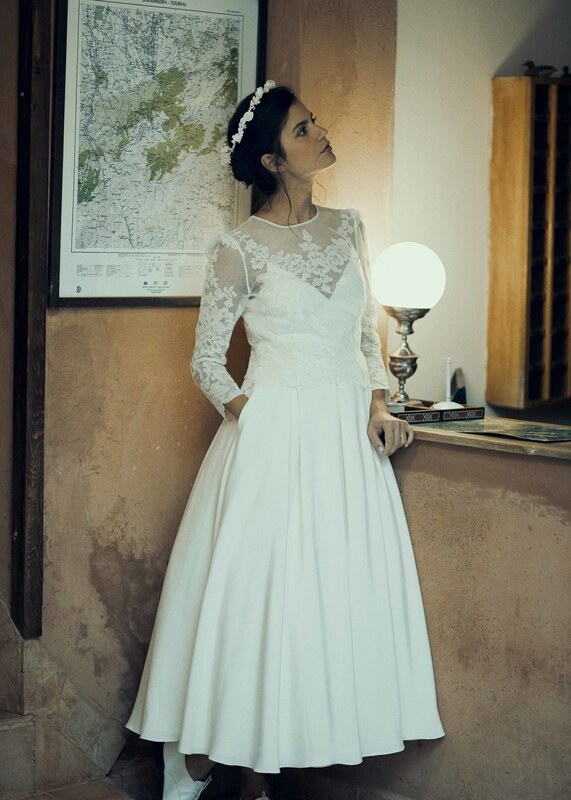 The French designer’s recent 2018 Civil Ceremony collection, for example, takes into consideration the specific needs of brides opting for courthouse nuptials. Similarly, this collection showcases a variety of styles and silhouettes, including two-piece styles, sweater sets, jumpsuits, and more, which help you flaunt your personal fashion sense while also adapting to a variety of wedding venue and ceremony possibilities. Those ball gowns we mentioned above? They can be magical at a church, or in the center of the dance floor when you sashay your first wedded waltz. But that’s not what everyone’s big day looks like, right? 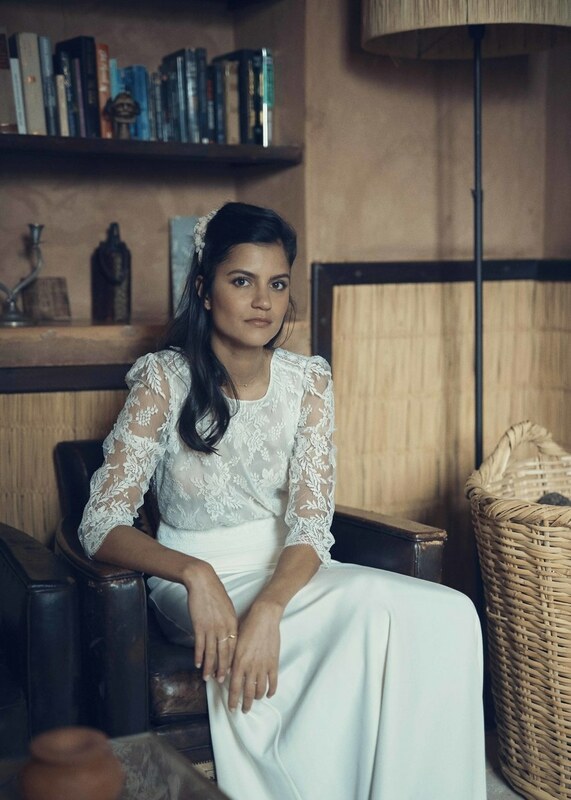 Here, we particularly love the option of having a beautiful lace top to pair with an elegant white maxi skirt, especially for outdoor, destination, or beach weddings! 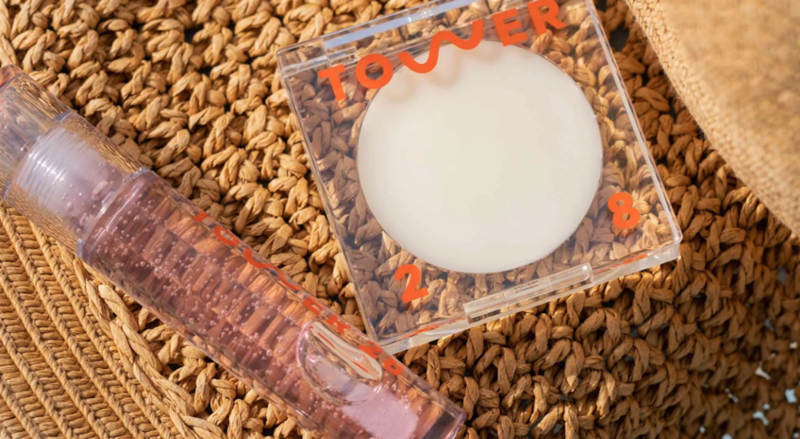 Of course, the Fall 2019 collection also includes more traditional pieces with some added flair for the modern bride. Romantic chiffon gowns are accentuated with eye-catching strap detailing, while flowing skirts are topped off with structured bodices. The line even features some long-sleeve see-through lace options and button-up tops that combine your formalwear with pieces you are already familiar with wearing. Because who wants to find out on their wedding day that corsets and boning are the furthest away transitioning from everyday jeans and t-shirts? 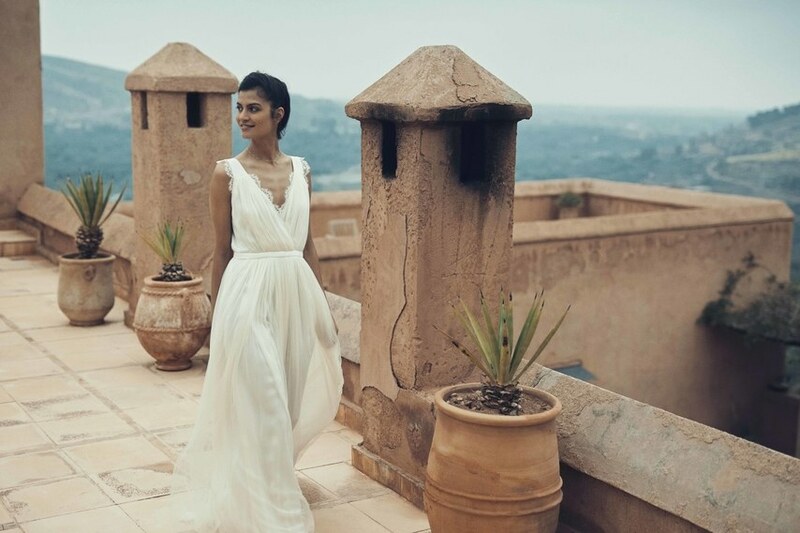 Click through the gallery below to see photos from the Laure de Sagazan Bridal Fall 2019 collection lookbook. More from the Laure de Sagazan brand. 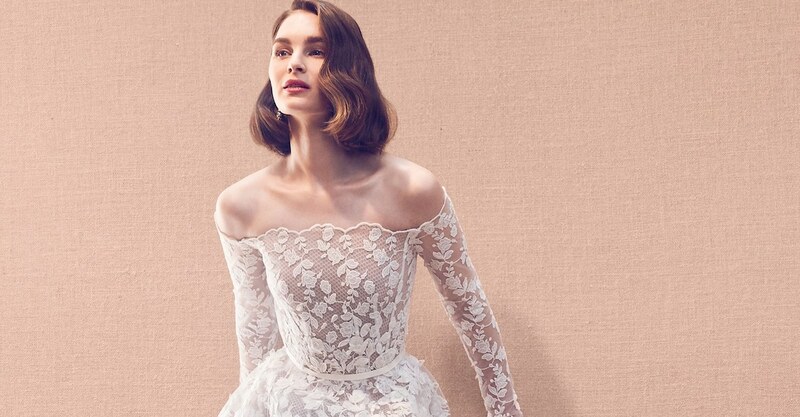 More designers’ Fall 2019 bridal collection lookbooks.